This Roscoe 1/2 Blue CTB Color Conversion Gel Filter is traditionally used to convert tungsten lighting to daylight. CTB (Color Temperature Blue) filters are available in a full spectrum of degrees (strengths) which, depending on your needs, can be used to either raise the temperature of your lighting or to create different lighting interpretations.  # 3204 1/2 Blue CTB Color Conversion Gel Filter (20 x 24" Sheet) is rated 4.8 out of 5 by 21. Rated 5 out of 5 by Bob from Perfect size gels to for most situations Great gels for most situations. Whether you are gelling for color correction or color enhancement, these gels work perfectly. I keep these rolled up and ready for use mostly for color enhancement. I have a few to stack one on top of another for deeper color or to put across a large light source like a beauty dish. However, there are times when I wish they came 24x24 or 30x30 just so you don't have to purchase a larger roll of gel material. Rated 5 out of 5 by JJackPro from Great! I am a Professional Video Producer and these are perfect size for my 500w lamps and are not badly priced. 1/2 blue is a good type to buy for basic lighting color correction. Full blue can be achieved by simply doubling up a piece. Rated 4 out of 5 by Actuality Films from Blue CTB Color Conversion Gel Filter This is a standard half blue gel that I got to correct my halogen Tota light to go with flourescent lights. It works fine and is not too expensive for a piece of colored plastic. Rated 5 out of 5 by Jason K from Great blue gel! I use this with my Arri fresnel kit. Works great to balance for daylight or to simulate cinematic moonlight. No complaints! Rated 5 out of 5 by Stephen B. from Rosco Gels Continue to be the standard Rosco gels work. It's as simple as that. They're plastic sheets the deliver the color that is rated and do the job. There's not much else you can say about gels other than they work, they don't melt with higher temperatures per their rating, and the CT is accurate. Rated 5 out of 5 by Derrick Perrin from Great value and good color conversion I use this to control the color temp coming from my small soft box. A gel like this is very valuable to my tungsten light kit. Rated 5 out of 5 by Anonymous from 3204 1/2 blue ctb Material was used for a special project we were doing. Eptam made some parts and our customer was very satisfied.